All the kids had a blast in the Dirt! 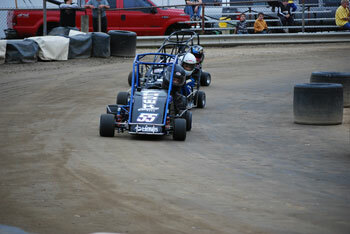 Josh Staten and Craig Swartz - side by side in the Heavy World Formula Race event. Cooper Clouse leads the Heavy World Formula Race. 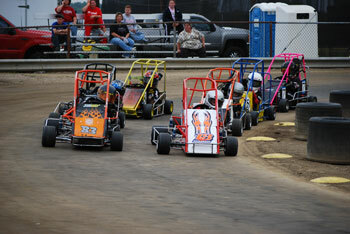 When most youngsters move up the ladder of racing, it seems that their first step out of Quarter Midgets is to Micros. 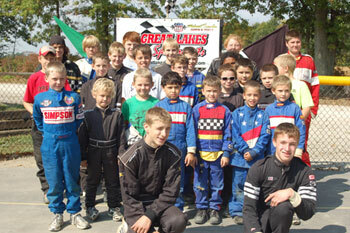 In the Ohio / Michigan area, there has never been an option for these kids to race on Dirt. 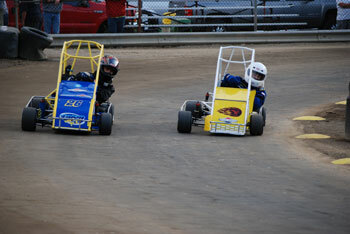 While Terre Haute is one of the best tracks in the midwest for dirt and Hagerstown is probably one of the best tracks out east, many Quarter Midget Driver's from the upper midwest may not get 'dirt experience' unless they make a trip to a Grand National. The new USAC .25 Series has incorporated a Mid West 'Down and Dirty" Series for driver's to 'experience' the Dirt! "The kids just love it," said Brenda Swartz. "We have been racing Quarter Midgets for a few years now, but my son Craig, can't wait to drive on the dirt." "It's pretty cool," said Ross Rankine. This event was held Saturday and Sunday with 2 separate race days. Although the car counts present have been near 50, more and more people are talking about giving it a try. 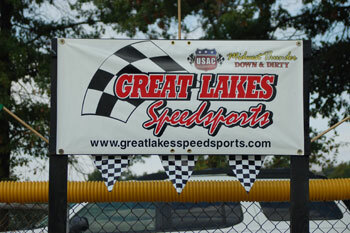 The Great Lakes Speedway in Bellevue, Ohio has worked closely with the Quarter Midget drivers. 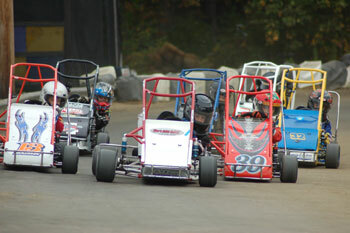 Both Quarter Midgets and Go-Karts shared the race program this weekend. Thanks to Brenda Swartz and Missy Clouse for their photos.